Today’s industrial designers no longer simply draw designs for manufacturing goods. Rather, modern designers create value for end users through their product ideas. Their work now shapes the culture and aesthetics of the era—something Japanese industrial designer Satoshi Yanagisawa well knows. 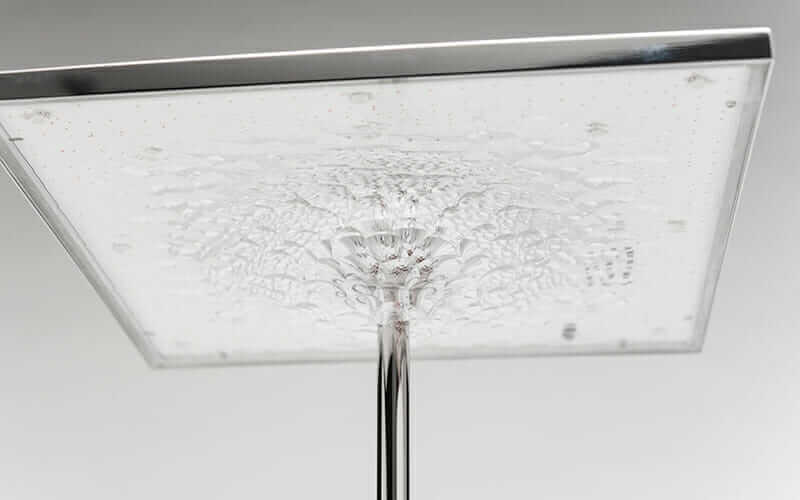 The Eau desk lamp, displayed at the 2016 Milan Furniture Fair, is designed with a shape patterned after waveform sample data. Courtesy Satoshi Yanagisawa. 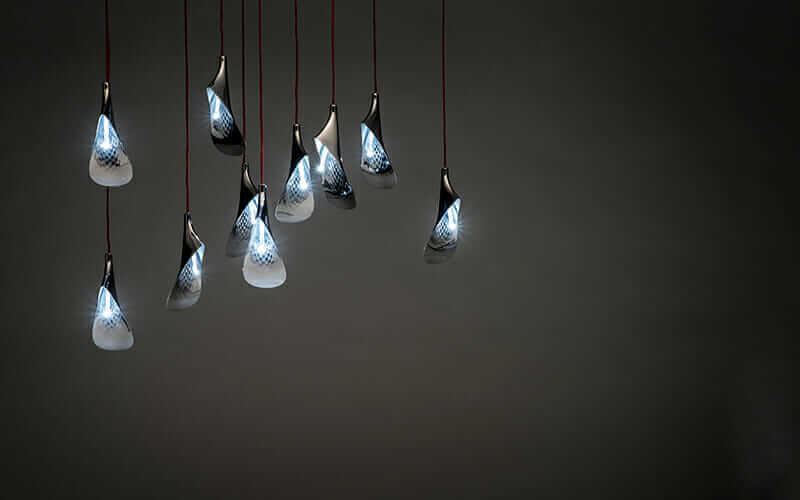 Botanic Drip is a sintered-titanium hanging light fixture with evocative curves and inner surfaces modeled on water ripples. Courtesy Satoshi Yanagisawa. 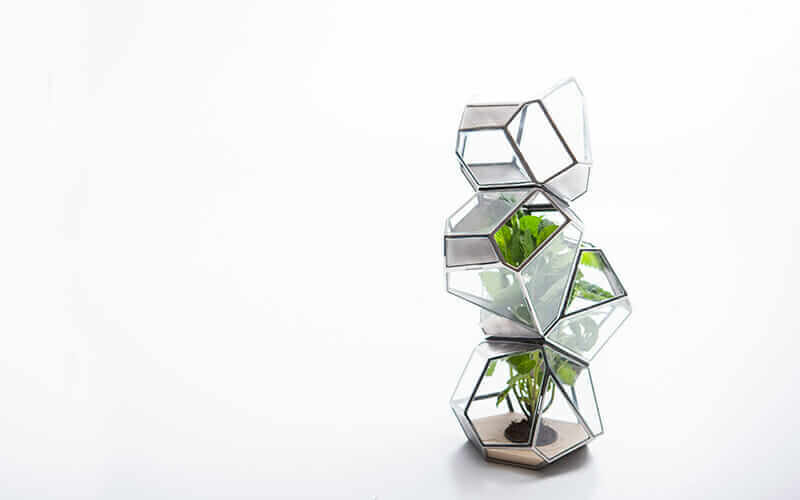 The Awa planter pot combines multifaceted shapes created using bubble generational models. Courtesy Satoshi Yanagisawa. Today, Yanagisawa and his Tokyo studio, Triple Bottom Line, focus on sustainable design and products ranging from elegant furniture to bento-box-inspired slow cookers. But perhaps their most inspired output is the ORBITREC: a mass-customizable, connected, 3D-printed bike. Its printed-metal parts heavily employ generative design. The ORBITREC was inspired by Yanagisawa’s earlier work on DFM01, a road-bike-frame concept model intended as a proof of 3D-printing technology. Jointly developed by DMM.make AKIBA, ABBALab, and Triple Bottom Line, the DFM01 began as a testbed for creating a mass-market 3D-printed bicycle using metal additive manufacturing technologies. 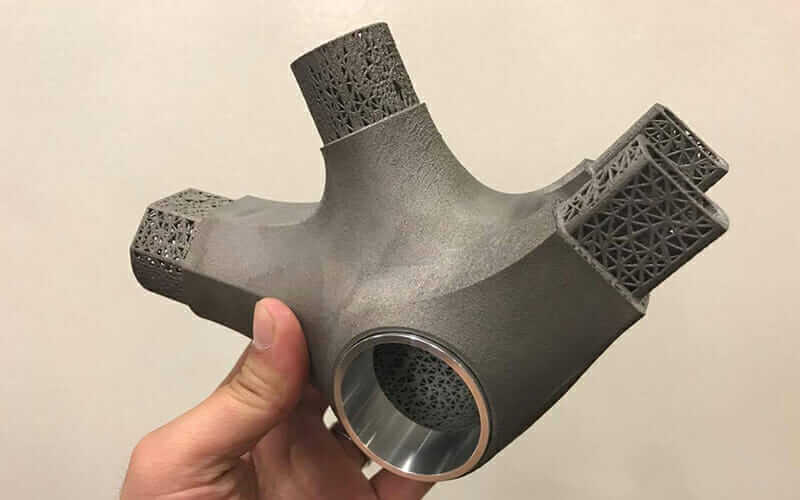 Its frame comprises parts printed using titanium alloy, normally reserved for use in the aerospace and medical industries, combined with carbon tubes. The bike was shown at the April 2015 Milan Furniture Fair and drew considerable attention. By August 2015, an updated version of the DFM01, optimized for mass production, emerged as the ORBITREC. 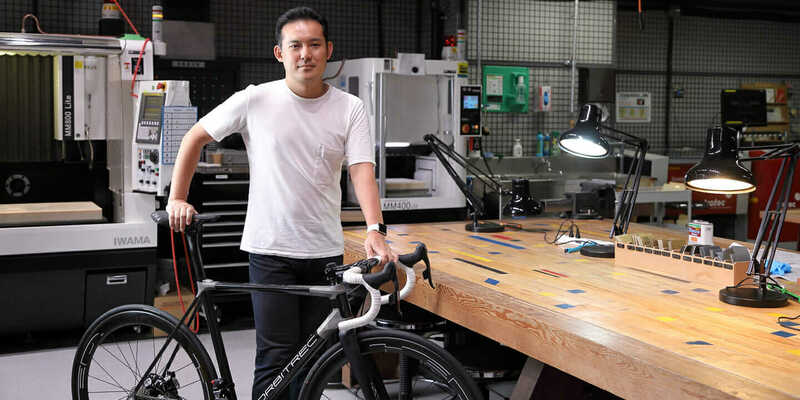 “A bicycle can be equipped with advanced sensors for sports competition, but currently the information gleaned from them is dependent on data taken from the rider,” says Yanagisawa, who is also a road-bike enthusiast. With this in mind, he was inspired to add Internet of Things (IoT) functionality so that the bicycle itself would gather data from its environment. Since the ORBITREC’s announcement at CES, 23 versions have been produced. The model pictured here is version number 20. 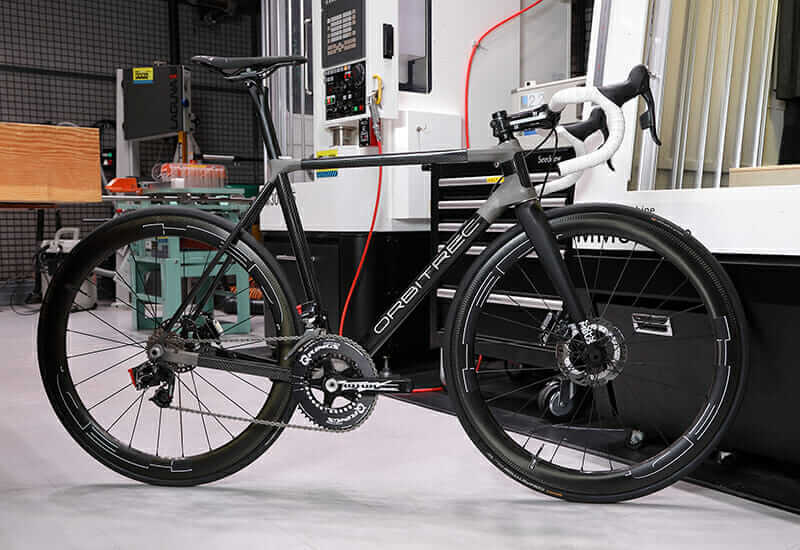 While the ORBITREC was under development, fewer than 10 factories in Japan could output printed metal at the scale required for this 3D-printed bike’s parts. Exacting conditions for production—such as the continuous infusion of inert argon gas to prevent combustion during printing—further halved Yanagisawa’s manufacturing options. “Every time we thought we had overcome the limitations of the shapes and materials that could be used with the 3D printer, another hurdle appeared before us,” he says. “We were told that the initial costs to make just one pedal axle would cost 4 million yen [approximately $36,000]. 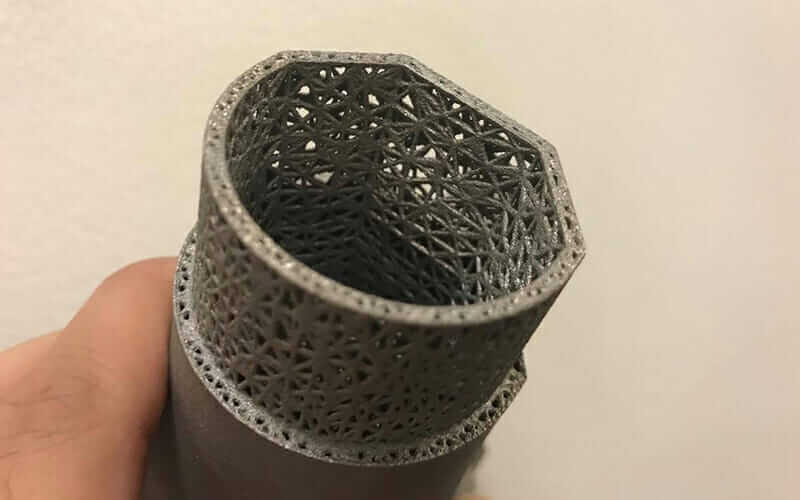 A 3D-printed joint with its lattice structure exposed at tube connection points. Courtesy Satoshi Yanagisawa. The internal structure is created by the generative-design processing of Autodesk Netfabb. The lattice is a highly complex structure. Courtesy Satoshi Yanagisawa. With this new direction in mind, Yanagisawa’s team came across a white paper, from the additive-manufacturing division of an aerospace company, that described airplane-door hinges that used a gapped, or latticed, structure. Curious about the technologies used, the ORBITREC developers contacted the aerospace engineers. 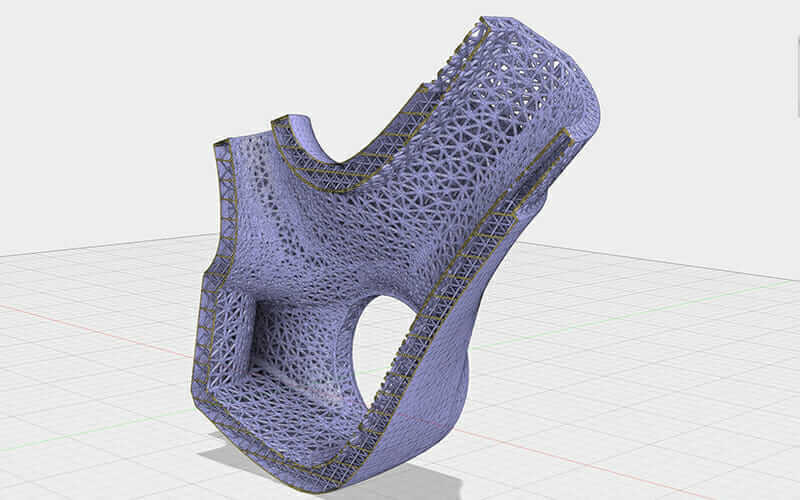 They learned that the door-hinge designs used Autodesk Netfabb), which dynamically generates a lattice structure (similar to the interiors of human bones) from a 3D model input into the software; the lattice design reduces the weight of the 3D-printed part. To realize the IoT functionality of the ORBITREC, it was outfitted with a nine-axis sensor measuring acceleration, angular velocity, and geomagnetism; sensors for temperature, humidity, atmospheric pressure, and illumination; GPS; and Bluetooth and Wi-Fi connectivity. These sensors provide data applicable in various ways, such as recording and analyzing riding technique or telemetry functionality useful for races. Preparations are underway to sell the ORBITREC under the XON brand of Cerevo Inc.—highly anticipated since its big splash at CES 2016. Simulator calculations are complete, and road tests are happening. No standard model or size will be stocked, with bikes fully customized to each rider’s needs. “Those who have test-ridden our bikes have praised initial rides as ‘heavenly,’” Yanagisawa says.